The Broke and the Bookish : YA2U: Book Tour, why it should come to Cleveland + Giveaway! YA2U: Book Tour, why it should come to Cleveland + Giveaway! best-selling authors who are holding a contest to see what city they should visit in an exclusive tour stop! These five lovely ladies are collecting votes from January 1 to February 15. Any city in the continental US or any major Canadian city (major defined as 'has an international airport') can win an exclusive visit from all five authors, including an author panel and book signing! It's like a freaking dream! Entering is easy. 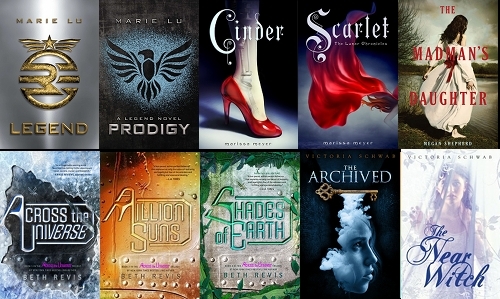 In addition to the author contest, the ladies are giving away a complete set of their compendium of books, which in my very biased opinion contains some of the best books I have read in the YA genre (for realz) and ones I've been looking forward to reading. And they want to have an event in a town of your choice! To participate, just go to the YA2U website and let them know what city you want them to come to, like Cleveland. And while you're there, help spread the word about the contest and you can be entered to win all of their books--TEN signed books in total! Now, remember when I said I dreamed a dream of a YA tour stop? Help me live my dream peeps. 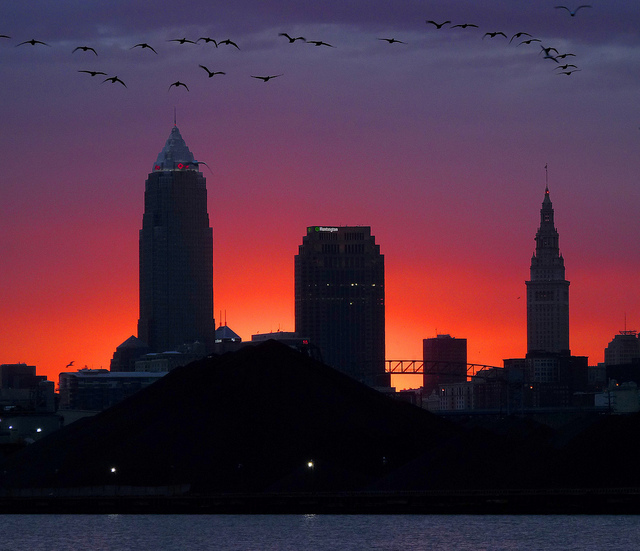 Here's why the YA2U Team should come to Cleveland, Ohio. Cleveland is an awesome town on the coast of Lake Erie. It was really big in the turn of last century and still has some really amazing and unique things. For instance, The Rock and Roll Hall of Fame is here. Playhouse Square is the second largest theater complex in the US, second only to NYC. I've seen some great plays and musicals there throughout my life. Cleveland has an awesome restaurant scene. Every time I go downtown I can eat at another amazingly rated eatery with a wide variety of options. USA Today listed Ohio City (which is right over the river from the downtown area of Cleveland) as one of the ten greatest places to barhop in the world. We are super passionate about our sports teams, and are still waiting for the day when we can celebrate some sort of championship. We've been so close so many times... but alas! Are we down because of it? Maybe a bit, but we are fiercely supportive of all the teams no matter how bad or good they are doing. Assuming this tour would come in the winter, we have our Cavs playing as well as a hockey team, The Monsters. Both of which are a great time! So in summary, CLE is awesome. As much as I travel around, it is still the place I call home and am proud to say that. I feel that Cleveland, though part of the Rust Belt, is starting to turn around. I honestly think it's on the brink of something amazing. What would make it more amazing would be these awesome authors sharing there works. Remember, if you help spread the word, you can also participate in the book giveaway. Tell them that you learned about YA2U from Julia at The Broke and the Bookish, and we both get extra entries in the contest! I voted! I totally agree, Cleveland is the place to be. It drives me crazy that authors seem to come to Cincinnati or Columbus, but never Cleveland.